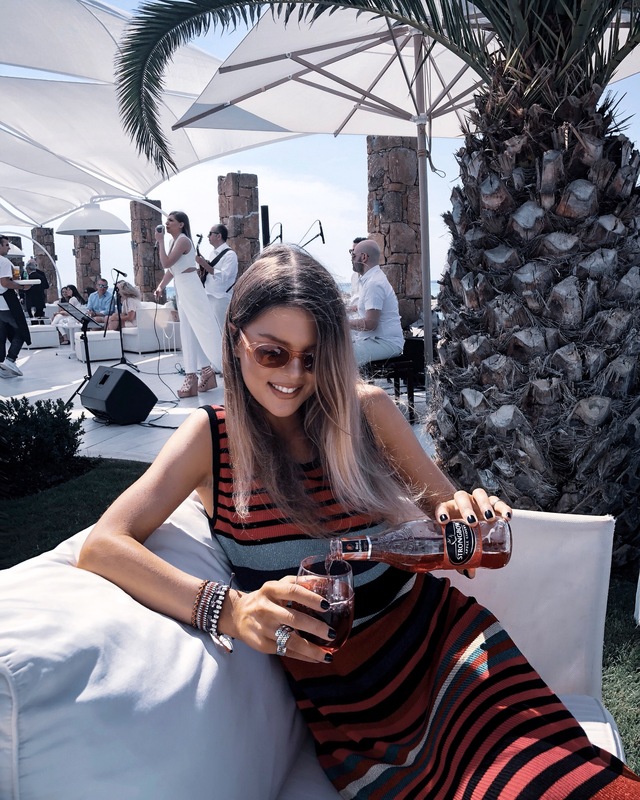 As you might have realised from the hundreds of Insta stories I posted the past week, I spent two amazing days at Sani Resort in Halkidiki and had the chance to attend the annual gastronomic celebration, Sani Gourmet Festival. What’s more exciting is that I got the chance to taste a drink I’ve been hearing so much about. And that’s no other than Strongbow Apple Cider. The weather was summer-like so the drink acted as the absolute uplifting refreshment. I first received a gold apple flavoured Strongbow as a welcome drink at the opening party! What I loved was the kick of the drink’s sizzling sparkles over ice (that’s because I got to enjoy it on the rocks!). Also, the golden colour is so beautiful that it feels like rays of summer sunlight. During my stay, I tried out yet another interesting flavour which was relatively fruitier; Red Berries. It reminded me of a strawberry bubblegum. A refreshing texture which balances the acidity. As you can tell, it coincidentally matched with my outfit! How cool? Conclusion? Cider is not just for happy hour. I think it can easily be paired with savoury dishes. This is why it was the perfect welcome drink during Sani Gourmet Festival! Oh, I created a little video for you guys! Light and refreshing, you get to deep dive into summer in a sip! Next Entry Welcome to the world of Shop Hiroine!